We take a look at some of the mobile games released this week. Are you looking for a new mobile game to try this weekend? As usual, there were plenty of new games released this week, including Crafty Candy, a new match-three puzzle game from Outplay Entertainment. The game sees players helping a friendly witch named Candice collect colorful candy to create potions. Fans of the Heroes television series also have a new game to try this week, as Imperative Entertainment and Phosphor Games Studio released Heroes Reborn: Enigma, a first-person action puzzle game inspired by the Heroes Reborn television series. Finally, SEGA and Hardlight released Sonic Dash 2: Sonic Boom on iOS, an endless runner which allows players to take up to three characters into each run, and swap between them by running down specially-marked paths. Looking for something else to play this weekend? Here’s a look at some additional games released this week. 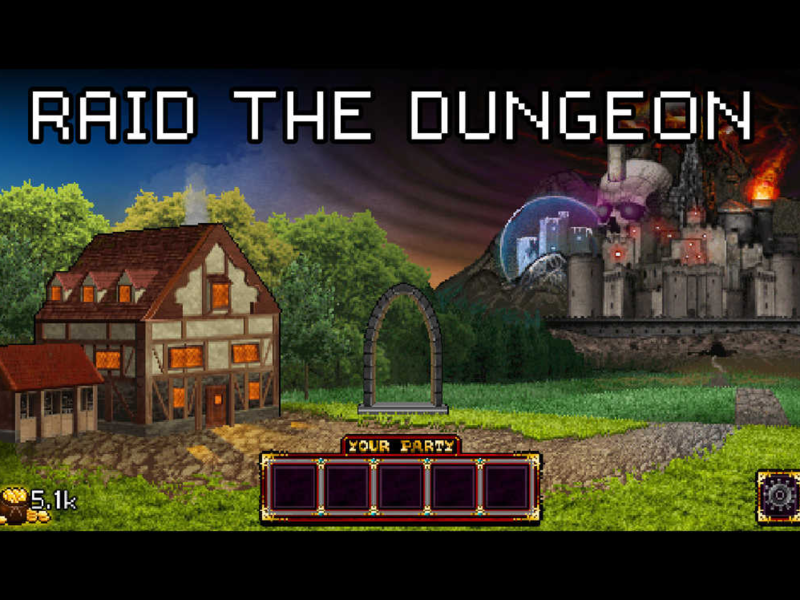 Soda Dungeon (Free on iOS) – From Armor Games, this dungeon raiding title sees players managing a soda tavern and hiring traveling adventurers to collect treasures by completing level-based battles in dungeons. As players collect gold inside dungeons, these can be spent on upgrades for the tavern, which may give them the chance to recruit new and better adventurers to send on future quests. Players can find weapons and armor for their adventurers in dungeons, or can purchase better items from the armory within the tavern. Soda Dungeon is coming to Android on November 7. QuickBoy (Free on iOS, Android) – From Netmarble Games, this side-scrolling runner places players in the role of Tommy Hawk, a delivery boy challenged with saving humanity during the zombie apocalypse. Players complete level-based missions by tapping on jump and slide buttons to jump over or slide under obstacles, which include zombies on the path. Over time, gamers unlock tools like drones and jetpacks, with jetpacks allowing players to fly over obstacles, and drones adding a specific boost to future games (like creating extra coins or increasing the duration of a power-up, as examples). One power-up, for instance, gives Tommy a shield, which allows him to defeat zombies without being hurt for a limited time. Players can spend coins on additional drones, or on upgrades for their items. The Walking Dead: No Man’s Land (Free on iOS) – From AMC and Next Games, The Walking Dead: No Man’s Land is the official mobile game based on the AMC television series. The game takes players to the zombie apocalypse, and combines city-building with turn-based battles. As players progress, they’ll collect survivors from six different classes, and can mix and match these survivors to create a team of three heroes for each battle. During battle, players drag their finger around the game board to command each individual survivor to complete tasks (like attacking zombies or searching for resources). Back at their camp, players can train their survivors to increase their stats, or build and upgrade structures to collect resources like food and currency. The game offers 10 episodes of story missions at launch, while social features allow players to work with others to complete weekly guild challenges. Battle Decks (Free on iOS) – From Codemasters and Chillingo, Battle Decks is a multiplayer collectible card game, allowing players to customize multiple decks (one for each of the game’s factions) using a selection of more than 1,000 cards, and take their decks into battle against other online players. During each battle, players work to destroy the enemy’s base on the game board. Players spend a limited number of Command Points on each turn to play cards from their hand, move their units around the board or attack the enemy. Gamers can also spend Command Points to draw additional cards to their hand on their turn. Players have access to a pre-designed (but customizable) deck for each of the game’s six factions, with each deck having its own specialities. For instance, the CyborGen faction focuses on splash damage, assistance drones and enforcers, while the ArmaTek faction focuses on powerful vehicles, weapons and battlefield presence. Users can practice with these decks against computer opponents to find the best deck for their play style, before going against real opponents. Gamers can purchase additional cards with coins or real money, and can customize their decks between matches. In addition to standard single-player matches, gamers can compete in the Frontline mode, which sees users given three lives to clear as many battles as possible for a chance to win extra currency and cards. This mode limits the number of faction decks players can choose from.